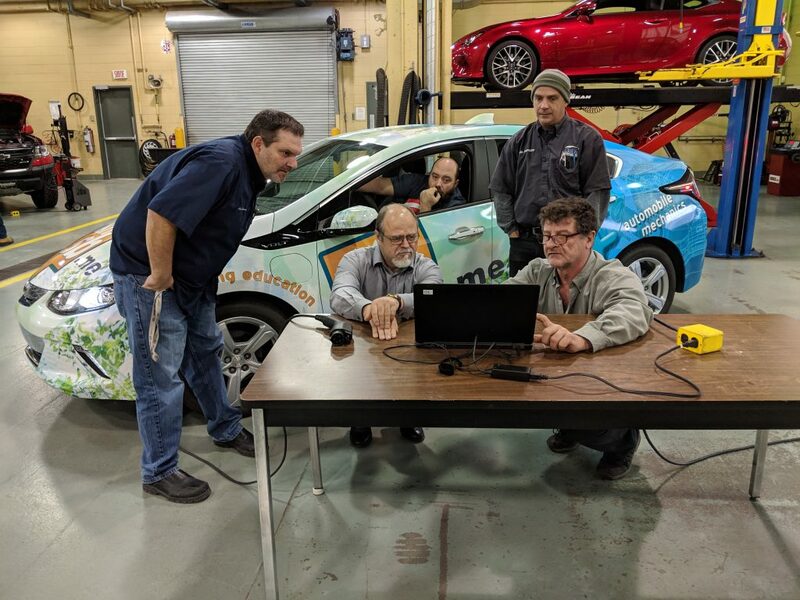 A group of instructors diagnosing a problem on the NFSB Volt! A picture of those in attendance! The Nova Career Centre Automotive Mechanics program is the head of the provincial Centres Of Expertise Network (CEN) in its sector of Motorized Equipment Maintenance. As leader of this sector, part of our responsibility is to provide professional training to the experts that teach the trade based off sector needs and interests, so they may be up to date on the latest advancements in Motorized Equipment technology. 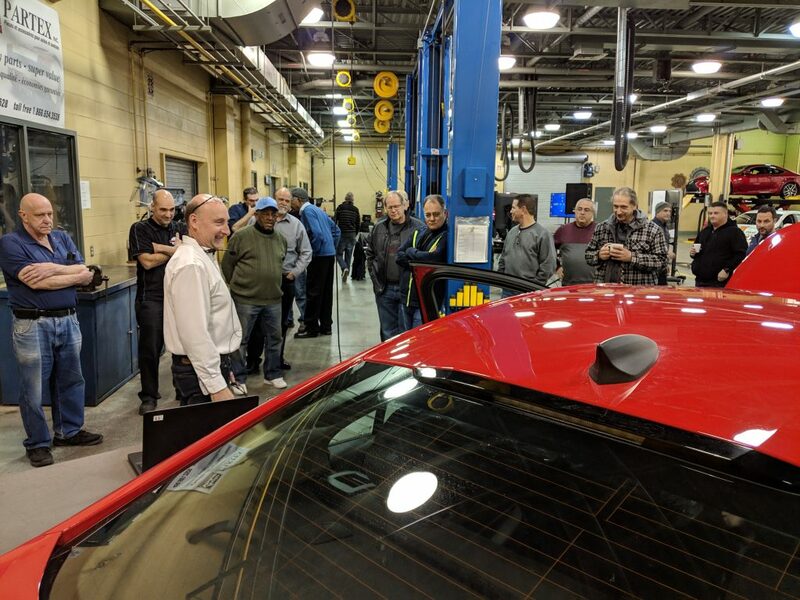 On November 9, the Nova Career Centre hosted training on Collision and Safety Alert systems, technologies that are now becoming standard on our everyday vehicles. 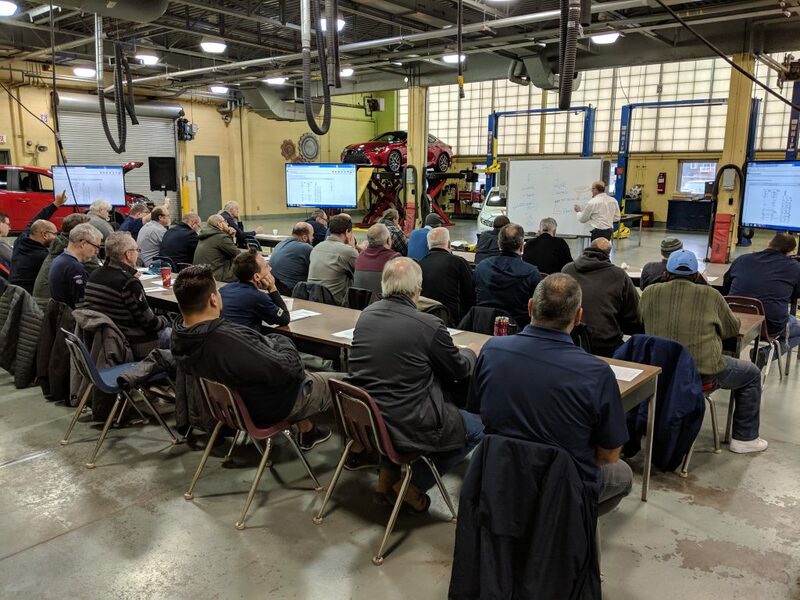 The training was given by Randy Scott, the Lead General Motors ASEP (Automotive Service Educational Program) Instructor for Algonquin College. 40 Automotive instructors from across the province were in attendance for this training. With what we learned, we will be able to now provide the students with up-to-date information about these systems to prepare them for the industry!